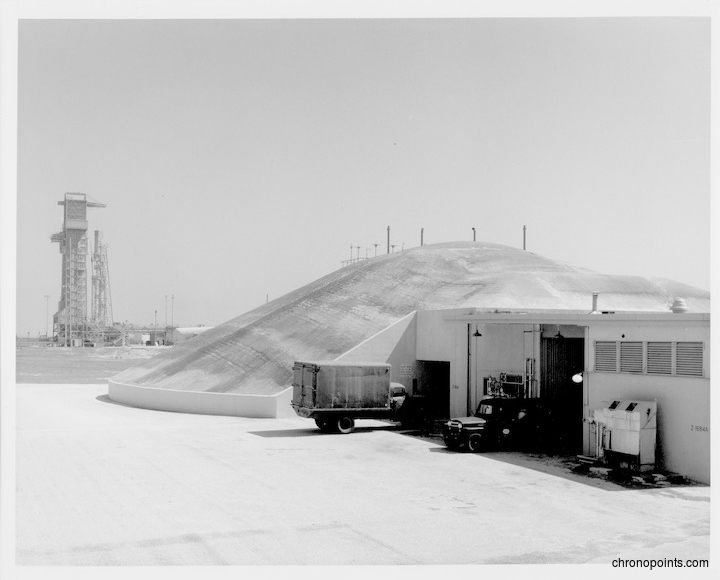 Cape Canaveral Air Force Station Launch Complex 14 (LC-14), where some of the United States' first astronauts were launched into space, had a heavily built concrete and steel blockhouse which housed the actual rocket firing button. 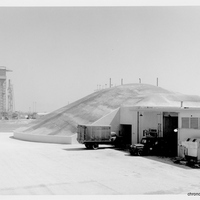 This blockhouse was built to withstand a rocket exploding on or close to the launchpad, which can seen in the background of the third photograph. 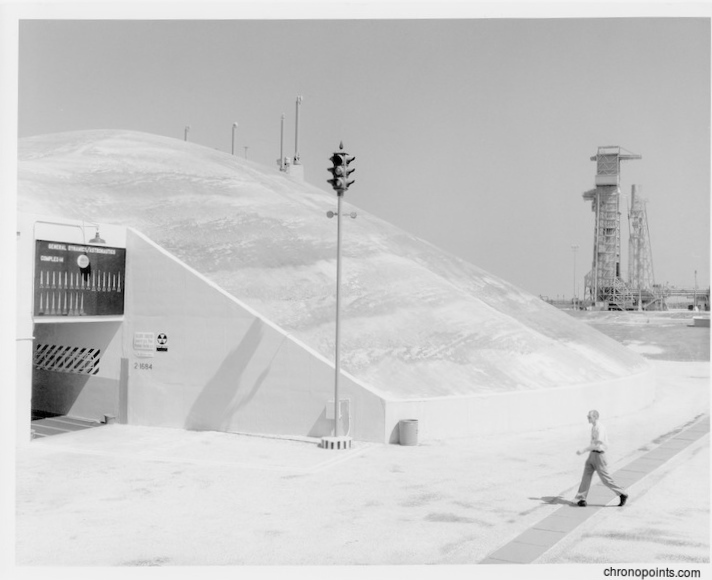 Two months before Leroy "Gordo" Gordon Cooper, Jr.'s flight on the Mercury-Atlas rocket named Faith 7, the launch site stood ready. 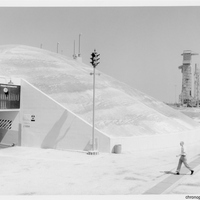 Original black and white photographic prints, March 15, 1963: Private Collection of Dr. Calvin D. Fowler. 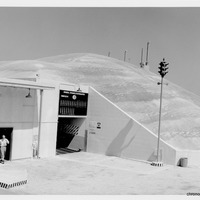 Digital reproduction of original black and white photographic prints, March 15, 1963. 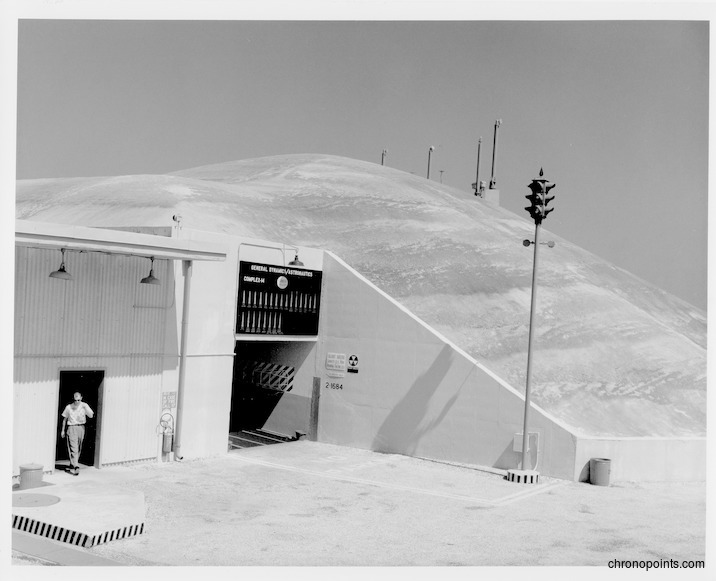 “Cape Canaveral Air Force Station Launch Complex 14 Blockhouse.” RICHES of Central Florida accessed April 18, 2019, https://richesmi.cah.ucf.edu/omeka/items/show/4962.